Carmelo (“Mel”) is a Partner in the Firm’s Labor & Employment Law Practice Group. Mel has over 25 years of experience concentrating in diverse employment and labor law matters on behalf of management. Mel has also earned an “AV” rating from his peers, the highest legal rating awarded by the legal rating publisher Martindale-Hubbell. Only two percent (2%) of New York metro area attorneys have earned the “AV” rating distinction. Among his areas of expertise are: employment discrimination, harassment, and wrongful discharge litigation in federal and state courts and agencies, wage and hour, National Labor Relations Board proceedings, employment contracts, restrictive covenants, and employee handbooks, family leave, grievances and arbitrations, union organizing campaigns, collective bargaining negotiations, unemployment insurance proceedings, and many other areas. He has also handled numerous cases before federal and state appellate courts. Mel is also actively involved in training supervisors and managers regarding compliance with various employment laws and regulations. He regularly counsels the firm’s clients regarding various human resource issues that routinely arise in the workplace. He is a frequent lecturer at New York University and Pratt Institute on such topics as employment laws including harassment in the workplace and has been a featured speaker for several groups that have offered continuing education credit to lawyers, accountants, and human resources personnel. Mel also is a frequent contributor to a nationally syndicated column that addresses a wide-range of workplace and employment questions. Mel is admitted to practice before the Courts of the State of New York, the United States District Courts for the Southern and Eastern Districts of New York, the United States Court of Appeals, Second Circuit, Third Circuit and District of Colombia, and the United States Supreme Court. 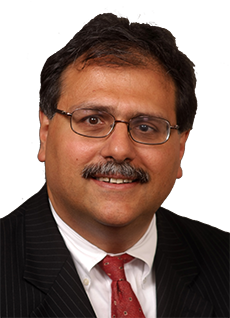 His professional affiliations include the American Bar Association, Labor and Employment Law Section and the Columbian Lawyers’ Association of Nassau County, Inc., for which he has held the position of President, currently serves as a Member of the Board of Directors and Chairs its CLE Committee.